SONJA aged 8 is a child who was exposed to circumstances which were detrimental to her physical, emotional and social well-being. 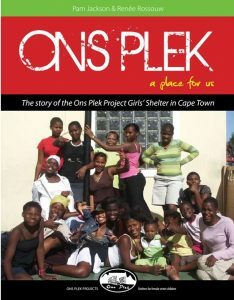 Sonja’s family has been known to Ons Plek since early 2002, through her aunt (Nosipho) aged 17 who had previously been admitted to Ons Plek. Sonja lived with her family under impoverished circumstances, which might have pushed her to street life. Sonja appeared dirty and neglected, and used to wander around late at night, unsupervised in a local township. Both her biological mother and grandmother were reported to be abusing alcohol in excessive amounts. Many a times there was no food and the family relied on Sonja’s Child Support Grant. Sonja’s aunt (Nosipho) seemed concerned, which prompted Ons Plek intervention to establish Sonja’s well being. The alcohol abuse of her caregivers appeared to only apply during the weekends It was decided that she continue to stay with her grandmother during weekdays whilst attending the local school so as not to disrupt her education. As protective measures, she also attended the afternoon Homework Program at Siviwe Woodstock and on weekends, she would stay at Siviwe because that is when she was most at risk. This plan would not disrupt her schooling and the circumstances would be reviewed at the end of that term. In the meantime, Ons Plek made contact with another maternal aunt residing several hundreds of kilometers away in the Northern Cape Province, who was willing to take care of her. A referral was sent to the Department of Social Development to investigate the aunt’s home circumstances and she was found to be an ideal candidate for Sonja’s foster placement. Holiday visitations were arranged for Sonja to develop a relationship with her aunt. After a visit, Sonja expressed her eagerness to be placed with the aunt. The Department of Social Development in Northern Cape Province assessed and found the sister to be a suitable foster parent. Although Sonja’s mother and grandmother were not in agreement with our recommendation, the Children’s Court endorsed our recommendation and Sonja was successfully placed in foster care. Now three years later Sonja is still doing well. She is still attending school and visits her mother and grandmother together with her aunt at Christmas time. Note: Of concern to the family was the child support grant which they would lose. Since the advent of child support grants for children up to 14 years social workers have found that whereas before SOME parents did not care where their children lived, families now fight tooth and nail to keep the child for the grant. The grant has made a noticeable difference to family life and despite the above-mentioned disadvantage is a worthwhile project.